Interfaith Caregivers Ozaukee Senior Corps Program invites seniors to National Service Recognition Day on Tuesday, April 3rd. 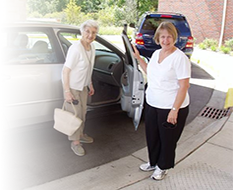 Seniors and other area residents are invited to the Kettle Moraine YMCA-Feith Family Ozaukee Branch to learn about ways to serve the community through volunteering while also improving their health. The event is from 10 a.m. to noon. The YMCA is at 465 Northwoods Road in Saukville. Be sure to visit the Interfaith Ozaukee booth for information. Snacks and beverages will be available. This event is in partnership with the United Way of Northern Ozaukee and the Kettle Moraine YMCA-Feith Family Ozaukee Branch.